Thank you so much to Angeleigh Guy for taking such detailed notes! Reminder: Rachel Andrew CSS Grid FREE event 3/31 – please register & join us! Save the date! 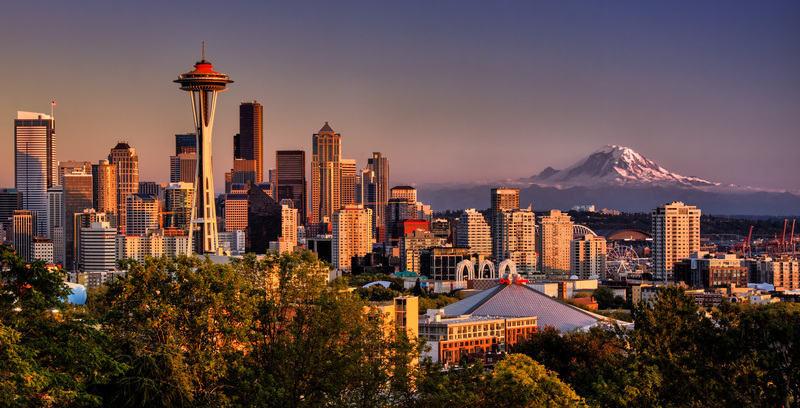 WordCamp Seattle 2018 is Nov 10-11 at the Washington State Conference Center (across from the Convention Center) – the same location as last year. We are on the search for Lead Wranglers and Volunteers. If you are interested, please contact Teri or Vanessa on Slack. For April and May, we have to move to a new space. Either Capitol Hill or We Work/South Lake Union (which is very close to REI). How many users visit this site? Unknown answer. We drive everyone there, with the directory there would be a fair amount of traffic. Jeremy-100 is for a display add for the listing, that’s pretty cheap? Yes. Free add would have one image, short description and your info. A pro or paid would have (up for debate) long description, longer profile, more images, contact them direct button, categories and tags. Jeremy-There seems to be a thin line between the paid and the free, contribution is great and is worth considering but what is the benefit of actually paying? The difference is there. When you are looking at the search list, whatever you see there for a free add (photo name, phone number, small description) when you click into the lsiting, it’s the exact same as the overview. On a paid listing, you would click in and there would be an actual profile. David- I would be annoyed if I searched for something and there was a bunch of big banners (plus those people would feel like they are showing off) but I would gladly pay for a sponsor badge. That would make me more comfortable contributing, wordpress is a community. Sponsoring the community is one thing, buying space is a little weird. I would want it to be like a graduation brochure, that’s shady, just give the money to support the community. Gabe- is it going to be inclusive to this region? At first, yes. You have to be a part of a meetup, or of this community, or of something in order to join. Only light moderation in the beginning to check credentials. There will be a button for flagging a listing. Most of the moderation will be by their own honor to not be a jerk. You could sign people up in the meetings or cross reference with lists. David-To sign up anonymously, maybe that is $5 or $10. They validate the address when you run the credit card they use that to validate your address. When you sign up you get your API key and then it asks you how much you want to pay. Then if you pay, you get a badge instead being sorted first. That way someone who can’t afford it can still participate. Answer: we do have sponsors. Phil- is everyone in this listing is going to be a Washington Business owner? They should be but its not our responsibility. Gabe- thinking about sort order. While it would want to be untainted by financial contribution. If that could reflect some sort of social ranking. Like LinkedIn uses for endorsements. Then someone else could vouch for me. Then you can sort by those tags and people with high ranking would be on the top. David- what would you do if there is too much privilege. If everyone pays $100, wouldn’t there be no privilege because everyone did the same thing. How much detail is revealed, according to how much is contributed. Gabe- gamification. Badges for wordcamp attendance or Flare. Make it more like reddit with up votes and down votes. Good fit -> discovery-> planning -> work. How much do I do in discovery so that I am not working for free. Have a good contact form that they fill out so that the customer puts in time and helps with the discovery phase. Jeremy- what are some of the scenarios where you lead someone down the path to being free? What are some trigger points that will give you a heads up that it will happen, I have never had that before. Answer: there has to be a fair amount of discovery to find the scope of the contract (then after 4-5 meetings, then there is enough information to sort a fair proposal) otherwise I bid too less. Once you get down to that many meetings, you don’t have to worry that you won’t be selected because it is a trust building process. Can’t you put in your contract that some (5-10 minutes) is free and then account for the rest. Patty-I have just started to give really really wide ranges for estimates. We need to learn more about this project before I would have a good idea of how much to charge. It has worked the past few projects. What if you charged for that discovery? Then what is done with that, they own. Then if they go with you, you can refund that cost. Derek- you are never going to nail the estimate everytime. Certain point you have to add it in. David-Sandler Sales Method- structured way to have conversations with people about on-boarding. 15 min convo to see if we are compatible. 1 hour to find the scope. Is there anyone else who needs to be involved, can you get them? No? Let’s meet another time and then charge for that. He always puts a price range in and a list of considerations. Like if you say you have photos, but then don’t have photos then he goes to the bottom of the contract where there is an estimate if they need photos. This method also assumes they are liars and has a contingency plan for it. Dwayne-Maybe have your work online and have a starting small business cost. (static 6 page small business cost with SEO is $1,200) This helps you weed out $200 budget people. Having those standards helps the industry because it always helps the other people charge in the same. Geoffrey- people who work with other people get a discount because you as a designer are not going to run into the same problems. Does anyone does checklist for migration and how do you keep it up to date? Bruce-Service I use is FLEEQ.IO – this is used successfully to set up screen services. Very easy to update, you can replace a slide. You can change the text and use arrows and other things. They are now using this to help the staff understand how the company works. Vanessa-As far as updating with things change. I do it right away otherwise I will continue to put it off. Most of my process is on a Wiki that is just for you. If things change, then I go to edit the page. Patty-Getting your clients to launch your websites? It’s going on a year now and they are still updating content and adding things. Do I put this in my contract? David-Send the bill now and let them deploy it whenever they choose. Or sometimes they choose a date that you are going to publish it for them. Dwayne- Had both things happen, implemented the same process as David. Send them a bill and add 25%. They also have a restart fee if the communication to decision maker is broken, then we charge more. Geoffrey – Handitdot(?) they use that for contracts. He has 5-6 different contract templates. It is really helpful to work with a team. Susanne- a big part of my process in planning (I use trellaboard) on this board she puts in the timeline and all of the phases of the project. Using this the client can see all of the work that is happening and the client is held accountable. Teri- We do something similar, if a project is stalled or delayed for a certain amount of time. They build a final thing or say there is a fee to restart the project. She also might change the original payment structure or planning because of what happened. She requires to be paid in 3 sections 1 section per month. So if there is a 6 month project, by 3 months then they are already paid. Gabe- I don’t work with a lot of things that require client provided media. Usually what I am getting from clients are deliverables and features. They come all at once in the beginning and then slow down. He has the opposite problem. He breaks things into sections and draws a line in the sand that things will be put on the backburner until the most important thing is completed before. Sometimes a happy surprise is finding that they change their mind and they don’t want those backburner things completed. He feels its better to have restrictions and limitations so that the work gets done. Vanessa- Questions. How do people deal with scope creep? David- Anything outside of this basic website (phase one – blog, contact forms) anything outside of that will be a special project. “It’s more important for you to get online, is this new site better than your current site”. Teri- Having it in the agreement upfront, that way you don’t come off as the bad guy, “hey let’s move that to phase two”. Derek- I think this is from how you define your project plan. If something changes along the way, then I just let them know that it’s going to take an additional 2-4 hours and can be built after. It’s a little more the build these complex project plans but it saves you so much more in the long run. Define things up front. That should be apart of what you are charging for your site. He used to be a PM. Would you present them with wireframes, style guides. For bigger clients, he does mobile mockups and a full spec mockup. He works agile, so they discuss at the ends of sprints. Gabe- working with an agile group, I appreciate the methodology. If someone demands that something is added to it, they scrap the sprint and then recommit to the work so they can add that new sprint. That helps them stay as clear as possible to committing to what they can do and staying on time. David- if someone comes in the middle of the project and asks more, he typically just does it. He finds this is because he didn’t clearly define what the planning is. Very often he will say, let us get the project done and then we can see it. David- client calls. Hey all of my photos are gone. We did not have maintenance plan with them, what do other people do. Vanessa- recommends to each client to sign up for a free Manage WP account so they can go and backup once a month. Set that up in dropbox. Derrek, do you do any sort of audit for a maintenance? Answer: we typically don’t have random people sign up for maintenance for typically we already have a relationship. Susanne- I charge hourly and then just bill them at the end of the month. How do you charge? How do they pay, membership, quarterly? Teri- they do a project, if they host with us, they do a maintenance plan. It is apart of the launch plan. Part of the migration is to set them up for maintenance. If we build their website, it’s included. They do sign up as a membership and are signed up for a subscription every month or quarter. We have both options for plans to just do maintenance, or if they want something little added or content update, they have a separate plan. Bruce- He gets specific about backup. He uses Backup Buddy with three different remote sites. Vanessa- does site audits. She does a back up, creates new users, quick audits, updates and such. If there is something broken outside of that (say they signed up for the 2 hour plan and it’s going to take 4 hours) they have to pay extra. We want beta testers for the directory. Please send Teri a DM on Slack if you are interested! We will be at WeWork SLU next month! Come prepared to discuss Lead generation (for our businesses and our clients), specifically the use of social media. It’s a big topic!